Looking to connect with the spirit world? Want to embark on self discovery? 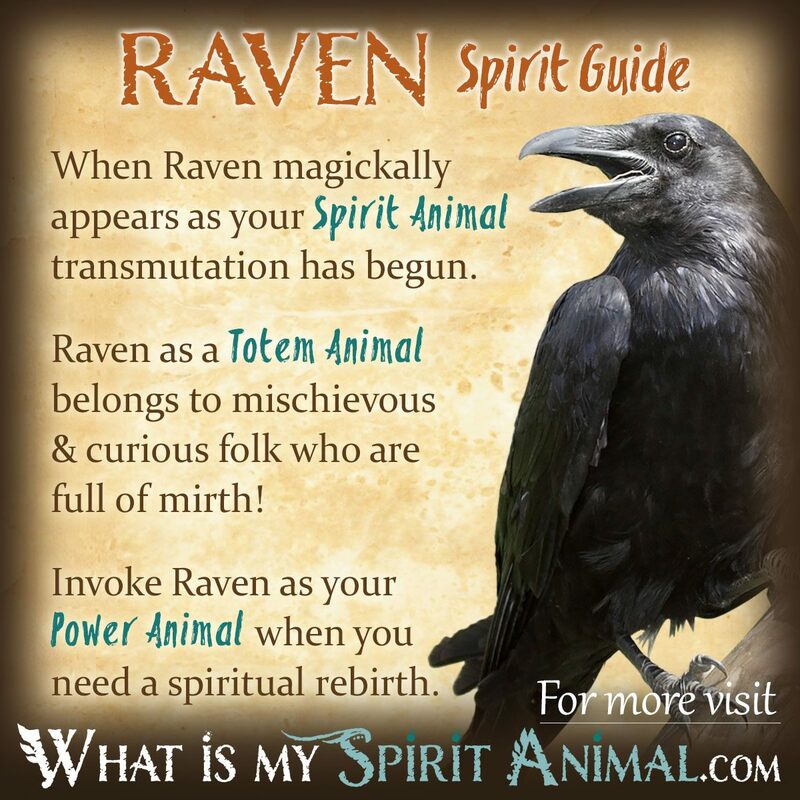 Raven as a Spirit, Totem, and Power Animal can help! Raven teaches how to hear messages from the otherworld and the real beauty of your shadow side. Delve deeply in Raven symbolism and meaning to find out how this animal spirit guide can uplift, enlighten, and inspire you. A Raven totem means that you are often the human version of Mercury, delivering information to others. This may be something mundane like guidance in their protection or something deeply spiritual. Raven people often walk the line between the worlds, acting as a bridge. There is no doubt that you will dabble with magic when you walk with Raven. You’ll also find your ability to transform your life in meaningful ways expanding. Raven spirit challenges you, however, to look honestly at yourself and ask “Never more?” – what hides in the shadows of your being that’s holding you back? Bring that negativity into the light and cry with the Raven, NEVER MORE. Having the Raven as a power animal is one way to begin learning the language of animals. Raven knows how to change his song, and by listening you can learn much about Nature’s symbols and signs. Raven Spirit asks for your respect, not your fear. This Being awakens your inner Shaman, and helps stimulate karmic memories. 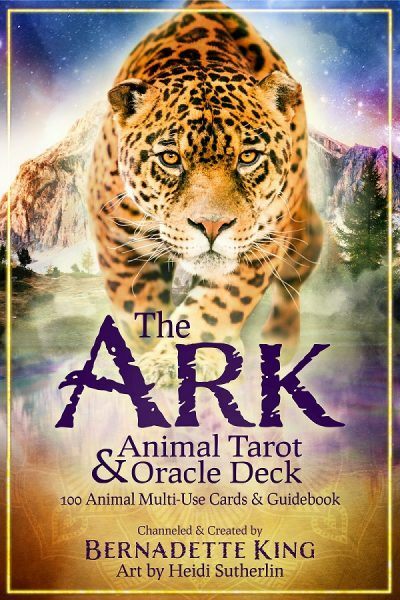 As these memories emerge they will help you deal with something important in the real world or on your spiritual path. When you walk with raven anticipate change and new perspectives. Be ready to delve into the realms of the unconscious and reaching for your true Be-ing. This is a hard process, but it brings long-lasting healing in mind, body and soul. This is your moment of rebirth. Various Native American tribes tell stories of Raven as the creator of the world including the Inuit and Salish tribes. Nonetheless, Raven is also a trickster who paired humans together and acted as a protector and provider. In some stories it is Raven that steals and releases the sun similarly to Prometheus. Celtic tradition associated the Raven with numerous bigger-than-life figures including the goddess Morriigan, Bran the Blessed (who was thought to have the power to protect a whole city), and the sun god Lugh, just to name a few. Throughout the Celtic regions Raven represented war and death as well as magical mysteries and prophetic abilities. Dreams about Ravens symbolize transformation and dreaming of a Raven or Ravens is letting you know that change is right around the corner – particularly in your perspectives. Raven may be calling to you to take your magic to new levels, or reminding you of an important lesson. In either case, there’s about to be a LOT of activity in your life, so prepare accordingly. Learn more about Raven Spirit by reading What Do Dreams About Raven Mean? on WhatIsMySpiritAnimal.com! Raven is one of the 12 Native American Zodiac Signs. People born under the sign of the Raven have high energy levels and a passion for success. Raven people will not give up easily. You are here to beat the odds turning disadvantages into benefits. The Raven corresponds to the Western Astrological sign of Scorpio and the Monkey in the Chinese Astrological calendar. In these associations we see the playfulness inherent in Raven as well as the “fire” of the Scorpio. When Raven souls manifest their personal power its quite a spectacle to behold. Their quick minds and cunning rarely let them down. However, in their youth Ravens must learn how to respect their animal traits and not use them for harm or selfishness. China, Japan and Korea have overlapping imagery for Raven and Crow, with stories referring to a solar creature that moved the sun, cleansed the land after terrible battles, and acted as a guide for sacred journeys. In this respect, if you are pondering a pilgrimage call upon Raven for company and advice. Today is July 18, 2018, according to numerology, it is the number “1” which is beginnings. Well, my story is this: I have been fighting to try to change myself, to change my location where I live. I have been trying to find my voice and be more of who I am as well, instead of fitting into a box. I also was trying to find a new username online, a new blog name and a new pagan-Witch name to fit this new way of feeling and thinking. Over the course of 8 years, I have used so many names that did not quite fit me. Well, within the last two weeks I was toying with wild, fierce, phoenix and I could not come up with anything that really fit me. I used a website called name-checker and I looked up how to find your pagan name with numerology, well as I am doing all the math and what not, I went to type into name-checker “wildphoenixheart” instead my fingers typed “wildravenheart”! Mind you I was in shock I typed it and no intention of it. Come to find out it was not used at all online!! Imagine my surprise and excitement!! Also, I have been drawn to the number 7 since I was a child and WildRavenHeart is “7” in numerology. Now to make matters more interesting here where I live we have two ravens who sit in the eucalyptus tree outside the apartment I lived in for two years, they used to sit on the branch and make sounds calling out. I would go to the window and chat with them, they would chat back. I left them trinkets too. Well, we moved apartments just to another building same community, they now sit in the eucalyptus tree right outside my office window and make their sounds again. I know this is a sign for me. I Did today a meditation to find out What my totem animal is and surprised it was the Raven. No I was searching for more info I came on this page And read your story. I have wondered why i have seen the Raven fly so high in the sky to rrst on a tree in my garden.Then another one arrives spreading it wings so wide in the sky was beautiful.My feeling was amazing. I wondering is this my Totem or power animal or spirit.i only just come across your page.I am starting out on my spiritual path. I listen to the birds everyday in song. Could anyone tell me to which its is as i said above. Thank you love & light. one day I was walking my dog and I notice A big raven in the middle of the street.I stopped for A minute to admire the size and beauty of this raven.when I proceeded to go back to my destination,this huge bird ended up on the side walk right in front of me.I just stood there for about a minute ,and watch him fly about A foot from my head .The weird thing about this experience is my dog normally would bark or try to chase any kind of animal, but he was in A daze like myself.to be honest it felt like time just froze.Such A strange feeling. A juvenile raven fell out of my chimney and into the lounge room and kitchen where I found him. He is the size of my forearm including hand…just enormous. He just looked at me innocently but was very calm and unaggressive. He was trying to get out through the window but he didn’t even pierce the insulation film on the window. So I got some sunglasses on (Elvis ones were handy at the time!) and a protective hooded jacket and just walked through the kitchen and left both doors open. Then I checked through the window from outside that he’d gone through the window. Sure enough, he’d flown onto the garage roof and was watching me. I had no idea how he’d got into the house at first. I thought my boarders had left the back door open but later I saw evidence of his being in the loungeroom later, and then today I heard the sounds of the raven in the chimney. The lining had been broken and you can see light now through the chimney. Wow. They are extremely intelligent birds and he will not be likely to make the same mistake again. As the boarders are Japanese and extremely afraid of birds, I’m hoping it won’t happen again. I just have to keep the doors closed in case. Going through a lot of transformation at the moment, so the fact that they’ve been nesting at my place is an honor and is timely. I guess it’s my totem for now. Apparently there may be more than one which is nesting….which is why the caution. The Japanese students are just terrified of birds. Luckily they didn’t see it. Some people are just irrationally afraid. Like I had 2 black belt karate people staying and I had to go into their room and remove a harmless huntsman spider. They were each totally freaking out. I mean, I’m female and not terribly strong physically….the Huntsman is a large spider but it’s without venom. We have a lot of wildlife in Australia and foreigners from urban areas just get terrified instead of educating themselves. I got them to show me their black belts after that! lol! I always had a very intimate link with this animal, ravens always intrigued me, and especially after I found out my name is the Portuguese variant of (among other things) of the Celtic term for raven, this link strengthened. And really, looking at this description, it really clicks with me, especially the mystery thing. Who knows, maybe this is my animal totem! Last night I had a dream about an injured raven. It was really friendly and was following me so I tried to pick it up but then I realised a puss-filled wound down the belly that pretty much went from it’s neck to it’s tail. I told the people around me to call a vet and I can’t remember what happened after that. Also, before I picked it up, it started walking around the guy next to me, almost tripping him up and he got angery and tried to harm it but failed. I feel strongly that this dream has a meaning but I can’t find any information about dreams of injured ravens so I would be so grateful if someone could help. Thank you! I have a family of Ravens that are always in my yard in the mornings. We are very friendly with one another. After reading this I know that one of my totems is definitely the Raven, from being an artist to my playful mischievous side. I’m a Clairvoyant and a Channel. Astrologically I am a triple Cancer and a Monkey though I do have Scorpio in Neptune. I also have a great deal of Red Fox and Dolphin personalities in me. Just wanted to say I loved the whole article.